The Elmira, New York Star-Gazette's nod to Hemingway's influence on Jim Brosnan. 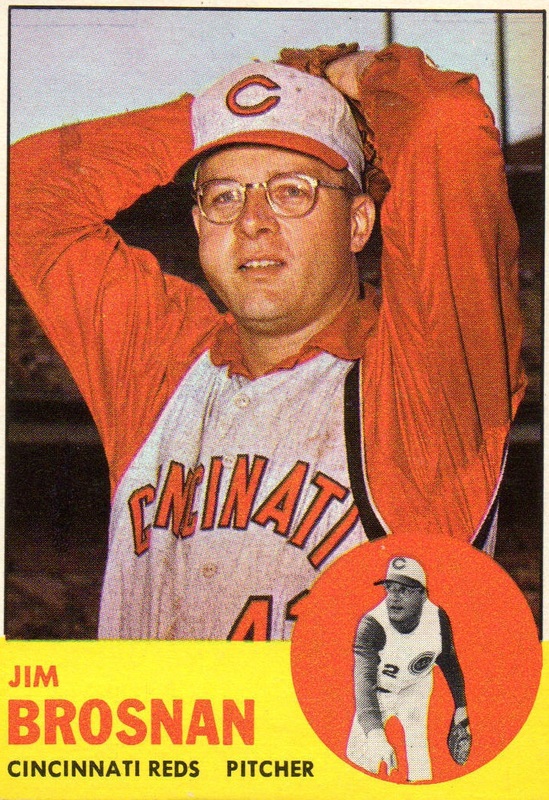 Now that "The Long Season" - 2018 Major League Baseball - is underway, it's timely to recall the greatest typewriter-wielding baseballer of all-time, Cincinnati's legendary James Patrick "Jim" Brosnan. Brosnan, in his writing prime, used Royal, Olympia and Olivetti Lettera 32 portable typewriters, and in the case of at least two, the Olympia and the Olivetti, belted them till they went bust (admittedly the Olivetti fell off a shelf in early 2004). After that Big Jim refused to touch anything that buzzed and hissed at him, or tried to tell him how to construct his one sentence paragraphs. An original Apple computer gathered dust for want of a user. Jim just refused to write anymore. Without question, this year's World Series will not be covered by sports writers with anything like the insightful style Jim Brosnan brought to LIFE during the 1960 world championship (see below). And in a way the like of Brosnan and Ireland's soccer pundit Eamon Dunphy might be blamed for that. The sad demise of print newspaper sports writing can, to a very large degree, be put down to the misconception of media proprietors that the weak-kneed musings (more often than not ghostwritten) of players and former players is more attractive to readers than those of actual sports writers. These misguided proprietors no doubt failed to grasp that Brosnan was an exception who offered absolutely no rule. 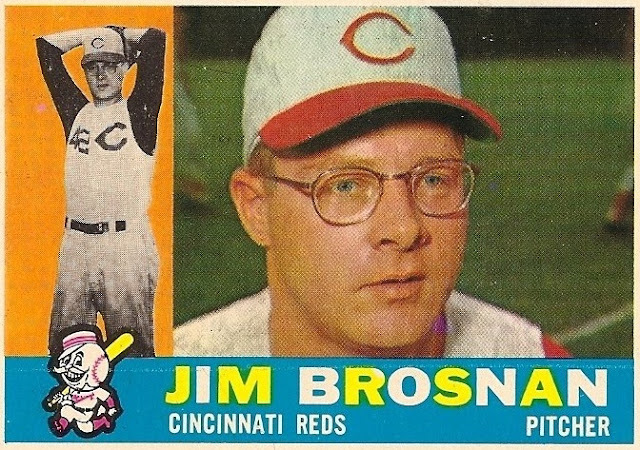 Jim Brosnan was born in the Fountain City on October 24, 1929, and grew up first at 1326 Manss Avenue at West Price Hill and later at 3420 Millrich Avenue, Westwood. His father, John Patrick Brosnan (1894-1970), rose from lathe operator to accountant and later inspector for the Cincinnati Milling Machine Company and his grandfather, Maurice Brosnan (1865-1927), at one time a Cincinnati policeman on the "Sausage Row" and "Rat Row" beats, came from Tralee in County Kerry, Ireland. Jim Brosnan attended Elder High School in West Price Hill and developed his own writing skills by reading Joseph Altsheler’s early 1900s novels, James Thurber, the war books of Ernest Hemingway, Irwin Shaw, James Jones and Norman Mailer (like all good sports writers, he preferred one sentence paragraphs) and Ogden Nash poetry. 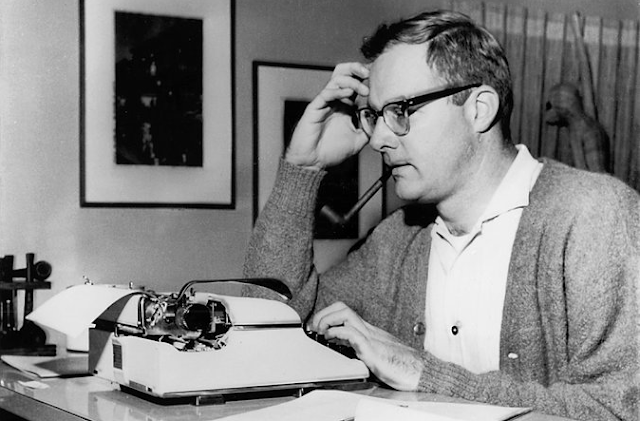 He was fond of Mark Twain, too, and of finding new words by doing crossword puzzles. 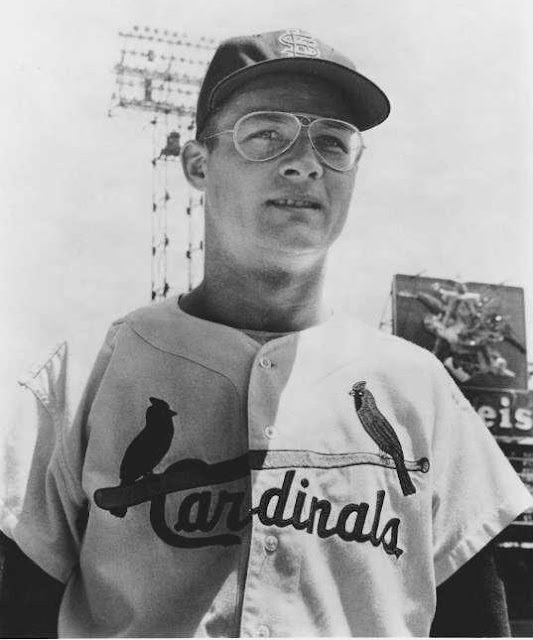 The 6ft 4in Brosnan went on to graduate from the Cincinnati American Legion team to play 385 MLB games from 1954-63 (interrupted by army training at Fort Meade, Maryland, in 1955), mostly as a right-handed relief pitcher for the Chicago Cubs, St Louis Cardinals, Cincinnati Reds and Chicago White Sox. 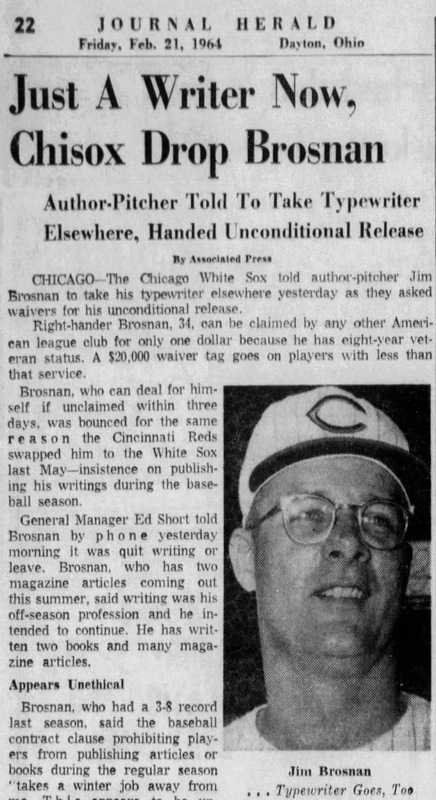 On February 20, 1964, the White Sox released Brosnan because he refused to give up his writing career. 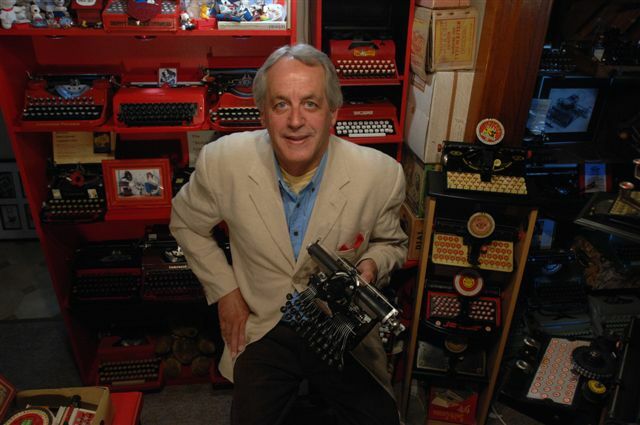 He was literally told to "take your typewriter and go". Newspapers across the US splash headlined the story (see above) in their own amused ways, but what they didn't report was that when Chicago general manager Ed Short said, "You can't use your typewriter here either, period", Brosnan promptly replied with the old Anglo-Saxon sent-off, the four-letter one starting with 'F'. Dayton, Ohio, Journal-Herald, February 21, 1964. This AP story appeared right across the US on the same day. In his playing days, the bespectacled, pipe-smoking Brosnan, an avid book reader, was dismissively nicknamed "The Professor" and called a "Kooky Beatnik". 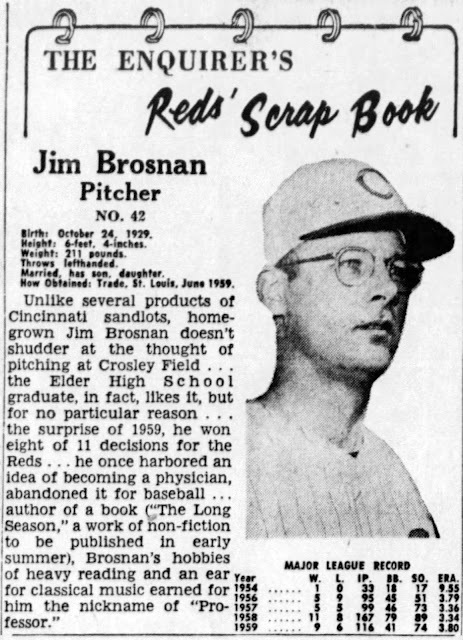 At the very peak of his baseball career, with the Cincinnati Reds in 1960, Brosnan embarked on a brilliant writing career with the publication of his first book The Long Season, rated by Sports Illustrated as the 19th best sports book of all time. It included a passage Brosnan later recalled as coming from one of his best writing days ever, one which finished at 5am. The passage read, "“To get to [Cincinnati’s] Crosley Field, I usually take a bus through the old, crumbling streets of the Bottoms. Blacks stand on the corners watching their homes fall down. The insecurity of being in the second division of the National League - in the cellar - leaves me. For 25 cents, the bus ride gives me enough humility to get me through any baseball game, or season.” Under the headline “No Comic Books for Brosnan", John Corry reviewed the work for The New York Times, writing, “Traditionally there are two kinds of baseball players - tobacco-chewing, monosyllabic hard rocks and freshly laundered heroes too young to appear in razor-blade commercials. 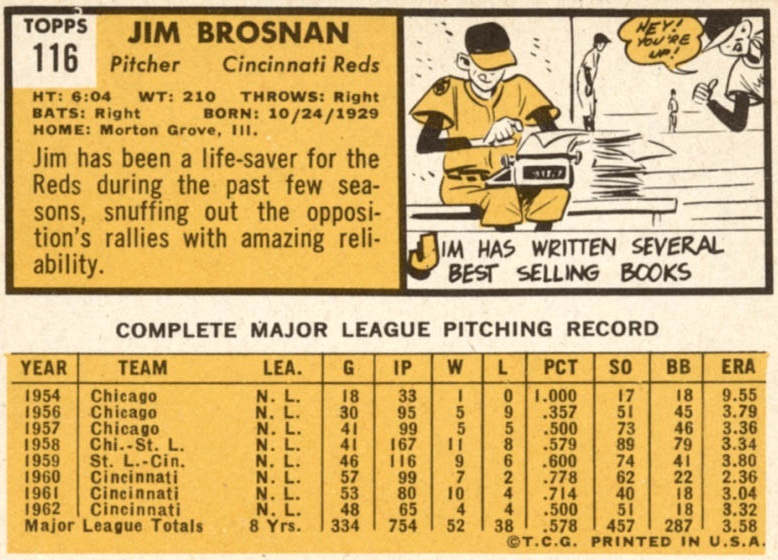 Jim Brosnan, a pitcher for the Cincinnati Reds, is in a third class. He wrote a book about the other two kinds.” Brosnan was later that year controversially commissioned by LIFE magazine (along with Ted Williams) to cover the World Series, when the Pittsburgh Pirates upset the much more fancied New York Yankees to take their first world title since 1925. Oddly enough, the pitcher married a Pitcher, Anne Stewart Pitcher (1925-2013). The couple lived in the same house in Morton Grove, a suburb of Chicago, for 58 years. Brosnan died on June 28, 2014, aged 84, while in hospice in Park Ridge, Illinois. At the time he was recovering from a stroke when sepsis set in. Another fine post about an interesting fellow I never heard of before now. I never followed sports much even though I enjoyed playing some. I do remember some of those names though from hearing the games on the radio as my Grandfather listened to his favorite ball team. Amazing story, what an all round guy! Great find with this story.